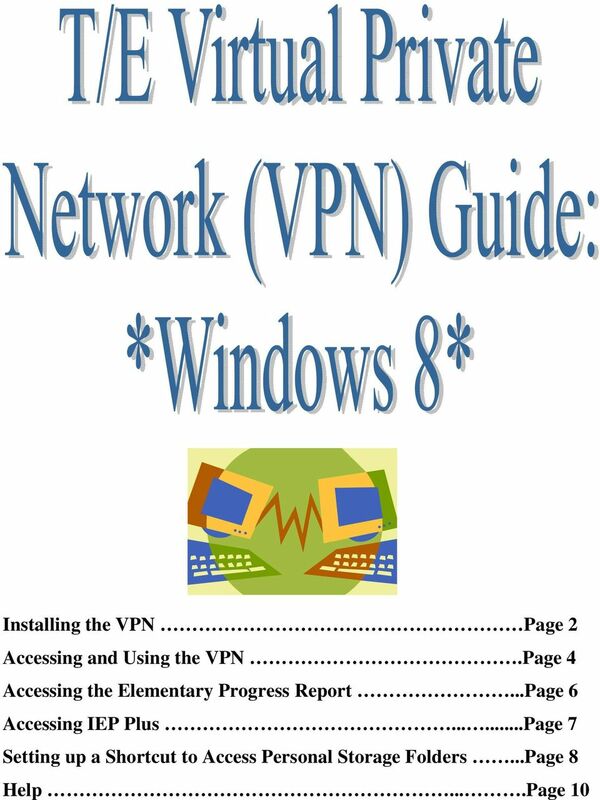 Download "Installing the VPN Page 2 Accessing and Using the VPN.Page 4 Accessing the Elementary Progress Report...Page 6 Accessing IEP Plus..."
4 Accessing and Using the VPN 1. 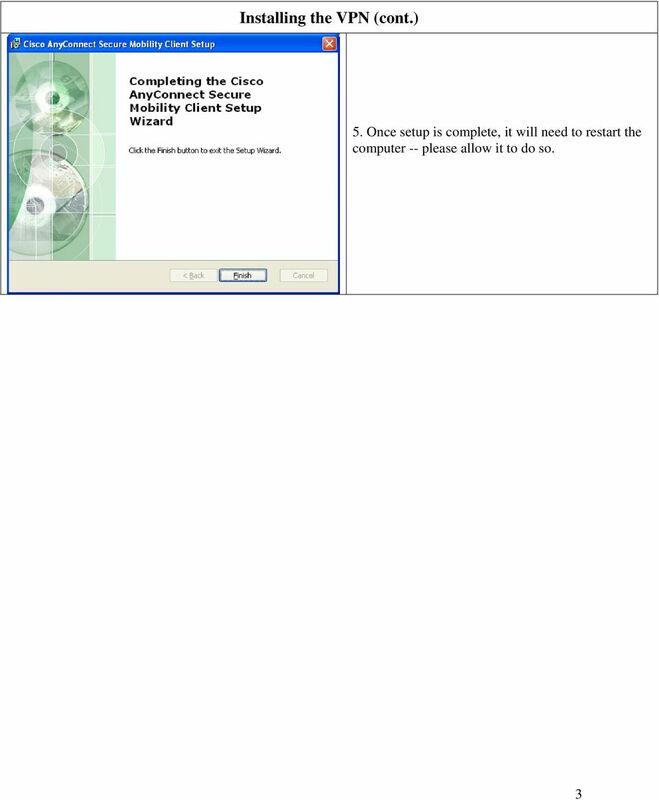 Once installed and your computer has restarted, you may find the Cisco AnyConnect Secure Mobility Client in the All Programs section of the Start menu and look for an entry named Cisco Systems VPN Client. 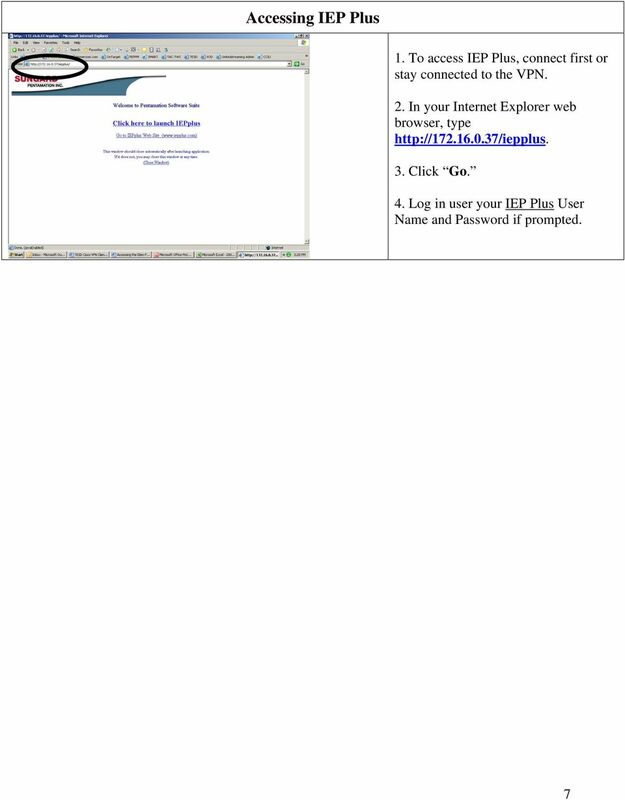 Inside it, click on the icon for VPN Client. 2. 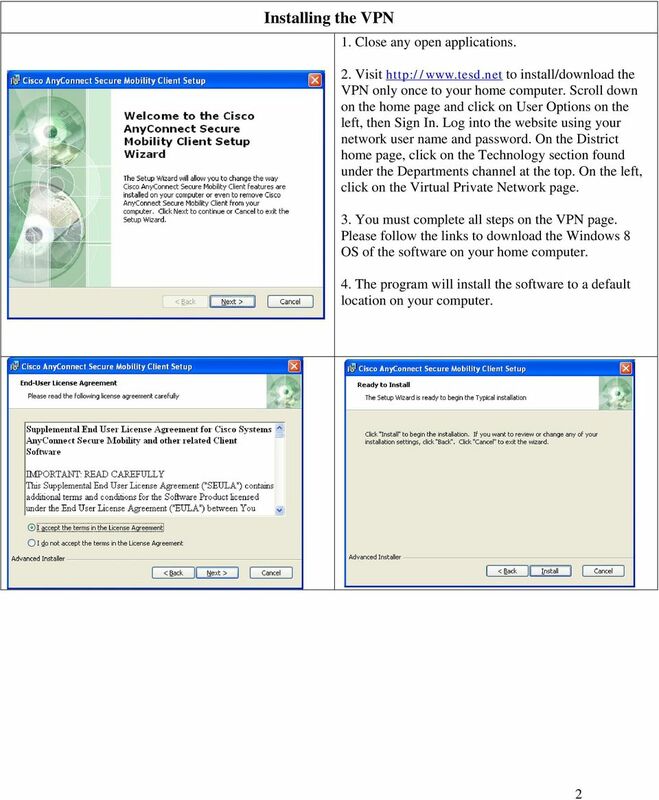 In the AnyConnect Client window, type vpn.tesd.net and click on the Connect button. 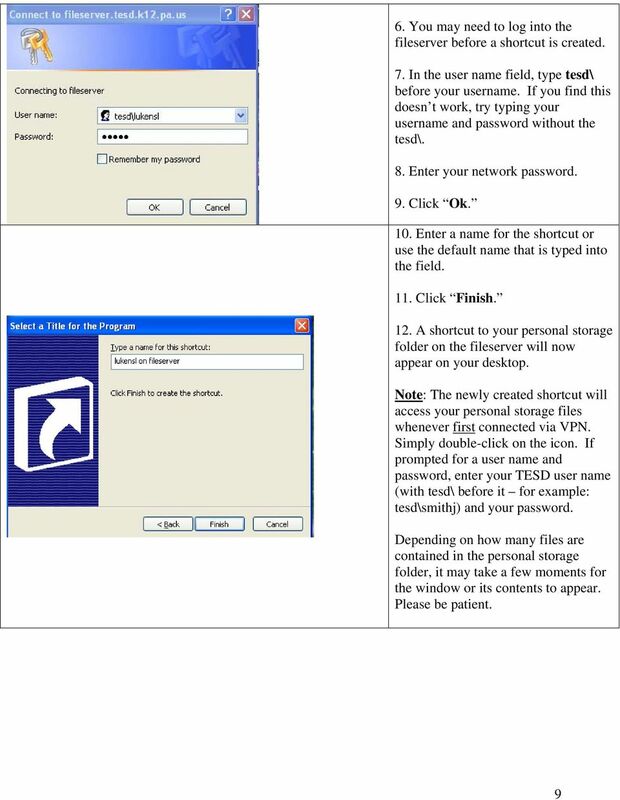 The application will remember this address for future use. 3. 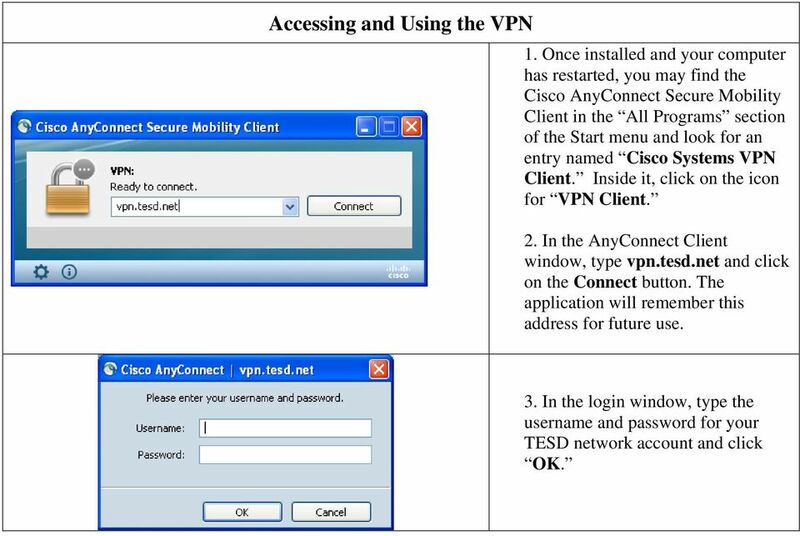 In the login window, type the username and password for your TESD network account and click OK.
CACI Virtual Private Network (VPN) I N F O R M A T I O N D E P L O Y E D. S O L U T I O N S A D V A N C E D. M I S S I O N S A C C O M P L I S H E D.